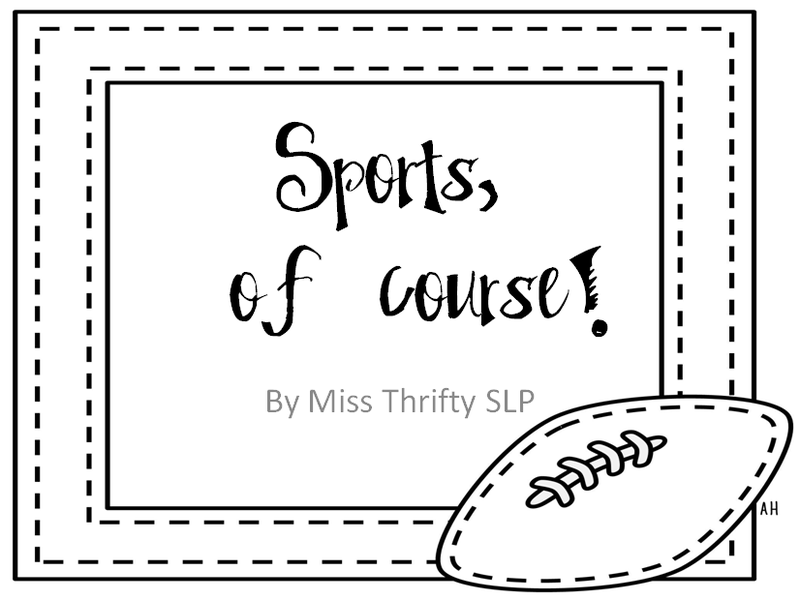 Speechie Freebies: Sports, of course! It's been almost a month since I've truly had the opportunity to plan out a new activity for my students. Sports seemed like a natural choice with the recent start of our local high school and middle schools football season. It's also a great way to encourage younger siblings to be proud of their brothers and sisters for choosing to live an active lifestyle. I'm really excited about this activity as it can easily be combined with books or short reading passages. 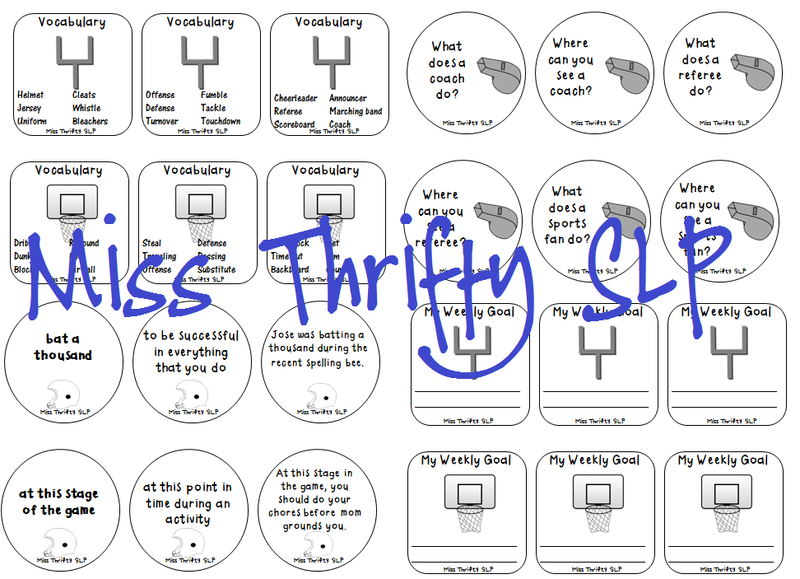 I started off with basic vocabulary lists for football, basketball, baseball, soccer, and general sports terms. Next, you have some basic questions for each of the four sports. I have included blank cards so you can write more story-specific cards as you need. I know I will be making up more questions as soon as I get my library books. To find out more about the other items included in the packet, check out my blog by clicking on the image below! Oh nuts! An s-blend FREEBIE activity!